Donating blood is one way you can help others. There is always a need for donations, especially during times of emergency. This is a guide about donating blood. I have given blood off and on what seems like my whole adult life. I recently went to give blood, and they said that they couldn't take it because I had a right bundle branch block. My doctor said that that shouldn't be a problem in giving blood, and I got that cleared up and was able to donate. Then, the other day, I couldn't donate because my pulse was 106. I didn't know that there was a restriction on giving, based on your pulse, but I found out that day. My tip is to donate blood while you can; you never know when your body will start falling apart and you won't be able to donate. This kinda makes me sad, I've always felt compelled to donate blood, mainly because I am O-Negative. Only one in seven people have O-Negative blood. I will keep trying, and hope that today will be the day that I am eligible to donate blood. Please go and donate blood today. And the next time you renew your driver's license, have them check "yes" for organ donor. Please renew life and give a gift to someone who desperately needs it. Two major holidays are coming up. They are the most traveled holidays in the USA. Before you go off to Grandmother's house for those wonderful dinners and family time, take a few minutes and drop by the blood bank and donate blood. Statistics show more people are killed every year on Thanksgiving and Christmas holiday traveling than any other time of the year. 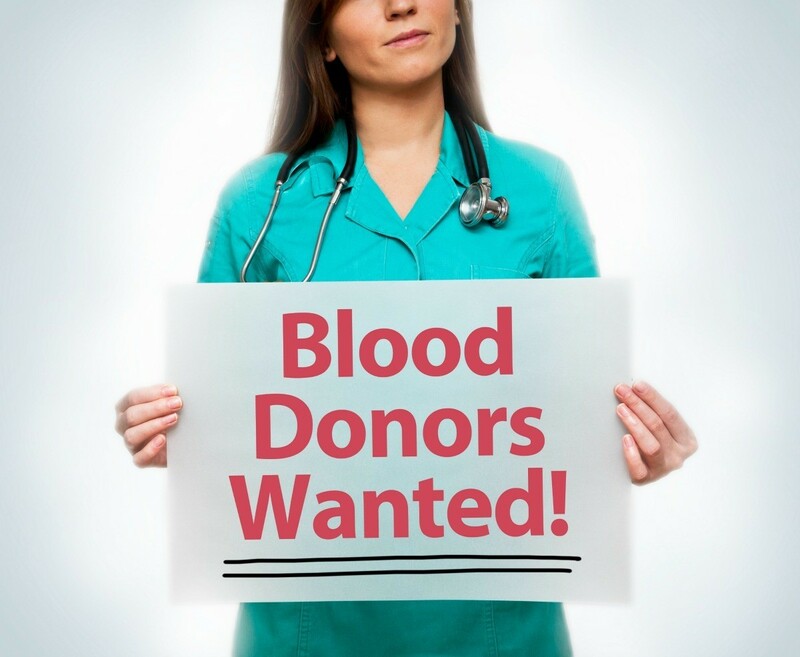 Your generous gift of blood could save someones life. Who knows it may save your life. So please go give blood. I'd like to also urge you to be an organ donor. The life you save through both of these services could be someone you love. I have a tip that might be a bit weird but works. I give blood a lot, but sometimes my iron is not up to par. So instead of going there and coming home because of iron too low, I bought a small can of red beets with the juice and put it in the fridge overnight. On the morning of, I drank the juice, it was a bit bitter but worked. Next time I think I will put some sugar in it before I drink it. Sometimes women's iron is low because of hormones, etc. and I got tired of being sent home because of low iron.